MICRO CLUSTER CABINS BY REIULF RAMSTAD ARKITEKTER Archi-new - Free Dwg file Blocks Cad autocad architecture. Archi-new 3D Dwg - Free Dwg file Blocks Cad autocad architecture. The client wanted a cabin for the whole family, but at the same time it needed to be divisible in some way. The solution was a cluster of three structures, which can be used individually. Each of the buildings is defined as a clarified geometric volume, organized around the outdoor area that binds them together as one unit. Toward the northeast, a hill borders and defines the site, together with the view in the opposite direction. The spatial interaction between landscape and the structure creates a beneficial microclimate. This is reflected by the structures’ southwest orientation, where the gable end is glazed. In the other directions the buildings appear more closed. 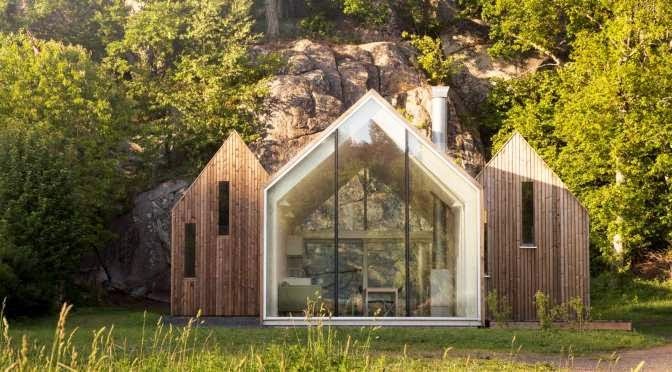 Source by Reiulf Ramstad Arkitekter.